There is a tide of innovation and aesthetics sweeping into our homes. We first saw this in the kitchen with new designs. The stand-alone island is now the most widely used change in kitchen architecture. Then add the new designs of appliances and a host of energy saving devices and homeowners are having a new burst of freedom. Now this same thirst for innovation and aesthetics has entered the bathroom. No longer is the bathroom just a place to wash up and get ready for the day. This has all changed. Now we seek to make our daily shower an “experience.” We find many of the innovations of the kitchen are now standard in the bathroom. 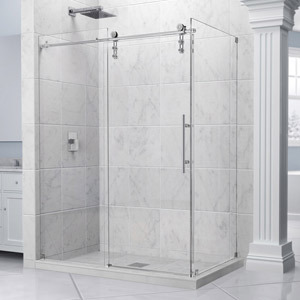 The most dramatic change is occurring in shower enclosures. Let’s examine the new designs and accessories. First and foremost you should decide the extent of your renovation. 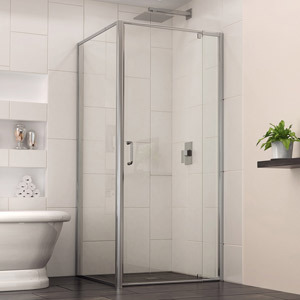 Are you looking for a few simple changes or have you decided to renovate the entire room from toilets to vanities to shower enclosures? You can start with a simple bathroom combo. This is where you create a shower over your tub by installing glass doors across the front of your tub and tiling either the entire interior walls around your tub or tile just a few feet above your tub. This change has its drawbacks. 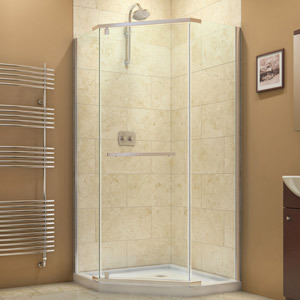 Older persons have difficulty stepping over the tub onto the floor. There is a chance of slipping and falling. 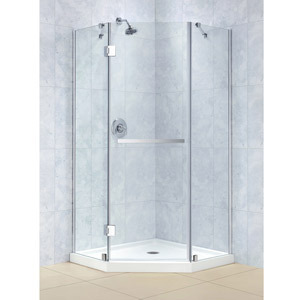 You can purchase a unit that has a door that opens on the front of your tub so you can step in easily. However, these changes while meaningful do not add much to the aesthetics of the room. 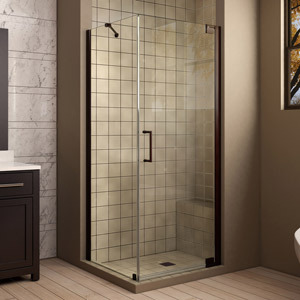 A “walk in” shower is safer and gives you a wide variety of options. 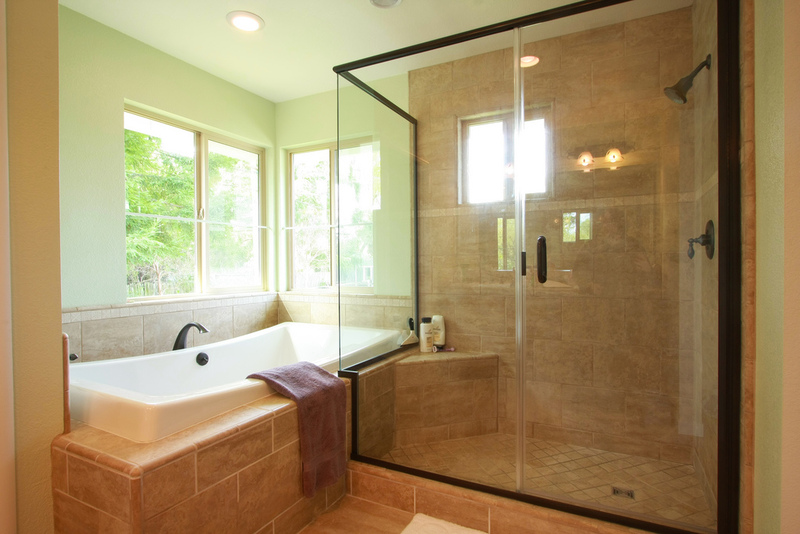 Here you can have just a shower curtain across the entrance or you can install glass doors. The glass is easier to clean and maintain. Walk in units are flexible in that they can be made is different shapes to fit odd size spaces. Here is where you can let your creative talents loose. You can have shapes in a quadrant, a pentagon, square or rectangle. Doors. You can choose standard opening doors, doors that slide or that fold, pivot, bi fold or corner entry door. Frames. Frames can be semi frameless. These come without the metal or plastic edges and give you the illusion of space. This is where you have the most freedom to use your imagination. You can have solid color interior panels or you can have beautiful tile designs. There are dozens of patterns to choose from. The same is true for the floor. There is a basic stained concrete or slip resistant tiles. Shower Heads. You can choose from one to four spray models. These come in 360 heads, eco saver heads that save up to 75% of the water used and special heads that fight off limescale. You can install stacks that let you move spray units up and down to give you more flexibility. Other Gadgets. 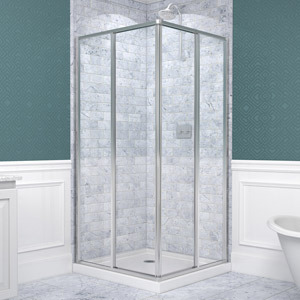 These include a meter that tells you how much water you are using, an electric wall unit with a thermostat to control water temperature, a clock, a radio for your favorite music and shower stacks for your soap, shampoo and other toiletries. Now go about and enjoy your new adventure with a bathroom that reflects your creativity.